This documentary traces Stan’s phenomenal fifty-year career as consciousness researcher. Learn about Stan’s remarkable journey from his early research on psychedelics, to the birth of the transpersonal movement, to Holotropic Breathwork. Highlights include Grof’s first psychedelic experience and its impact on his life and career, his days at Esalen Institute as a Scholar-in-Residence, and his insights into non-ordinary states and their potential for healing and transformation. 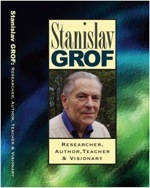 Included are interviews with Stan, his wife and partner Christina Grof, and UCI researcher Charles Grob, MD, as well as archival photographs from throughout his life with friends, colleagues, and prominent teachers and visionaries.